My life as a child bore no resemblance to what I believed was normal - i.e. the way people lived on television, a medium I mistook for my window on reality. Even on TV, though, peer models were scarce, which is why I ended up identifying with a kid I didn't even like. 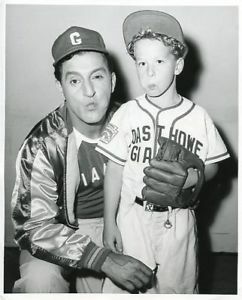 From 1953 to 1964, Rusty Hamer played Rusty Williams, the freckle-faced, curly-haired son on the Danny Thomas sitcom Make Room for Daddy (renamed The Danny Thomas Show). Sadly, Rusty found very little happiness as an adult, When he died of a self-inflicted gunshot wound at the age of 42, he became a poster boy for the problems faced by child actors. 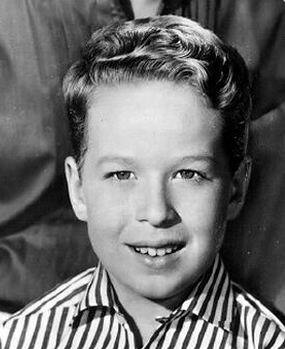 Rusty was born Russell Craig Hamer in Tenafly New Jersey on February 15, 1947. He was the youngest of the three sons of Arthur Walter John Hamer, Jr. and his wife Dorothy (née Chretin), a former silent film star. Rusty and his older brothers, John and Walter, grew up in a theatre environment because their parents were active in amateur theatre productions. In 1951, the Hamer family moved to Los Angeles where Arthur Hamer found employment as a sales representative for a men's sports shirt company. Sons John and Rusty were noticed by an agent while performing in a local theatrical production. Both brothers were signed to a film contract. In 1952, Rusty was cast in his first acting role in Fort Ti, a 3D Western film starring George Montgomery and Joan Vohs. Rusty played the George Montgomery character's nephew. He was uncredited. Rusty also appeared in several Abbott and Costello films. However, his big break came when actor/comedian Danny Thomas' secretary saw him perform in a theatre production. She was impressed by talent on stage and suggested that he audition for a role in Thomas' upcoming television series, Make Room for Daddy. Rusty won the part and was cast as the wise-cracking, somewhat bratty son of Danny Williams, the night club entertainer played by Danny Thomas on the show, When the family comedy premiered on the ABC network on September 29, 1953, Rusty was just six years old. After three seasons, the show moved to CBS and was retitled The Danny Thomas Show. When the series ended in 1964, he was an awkward 17-year-old. Child stars were not paid lucrative salaries back then, so he was not extremely well-off. Below is a photo of the cast of The Danny Thomas Show (clockwise Angela Cartwright who played daughter Linda Williams, Marjorie Lord who played wife Kathy Williams and Danny Thomas. After The Danny Thomas Show ceased production, Rusty enrolled at Palisades Charter High School in Los Angeles. He had difficulty adjusting from a film lot school to a public school Danny Thomas told the Los Angeles Times that Rusty "had been one of only two students in a studio classroom. "He was still a happy kid," explained Thomas, "but seemed like a fish out of water." In April of 1964, just before his graduation from Palisades High School, Rusty was interviewed by reporter Bob Thomas for American Press (AP). He was asked how he felt about the The Danny Thomas Show going off the air. "How do I feel? Not sad, really," he responded. "You can't go on doing the same thing all your life." The teenager, however, was not under any immediate financial pressure to return to work. Under California state law, 20 percent of his savings were invested in U.S. savings bonds until he reached the age of 21. He also had a portfolio of stocks, bonds and some properties in Palm Springs and Fresno. At the time, however, Rusty was optimistic about the future of his acting career. "I want to work right away and the prospects are good," he enthused. "They're interested in me for several of the Mr. Novak shows at MGM. Walt Disney is interested in me. And there are chances I might do shows like Dr. Kildare, Ben Casey and Arrest and Trial. I'd like that. I want to do some dramatic shows." Still, the young owner told Bob Thomas that he would work in a gas station if necessary because he didn't want to use up his savings. Alas, Rusty's optimism about his future was unwarranted. Few job offers came his way except for guest spots and reprising his Rusty Williams role. Worst of all, he was ill-prepared and ill-equipped for the world outside the entertainment industry. In 1969, Rusty Hamer appeared as Alfred Newton in an episode of Green Acres entitled "Oliver's Schoolgirl Crush" (Season 5. Episode 10, Air Date: November 29, 1969). By the end of the 1960s, however, Rusty had become quite distraught over his flagging acting career. To earn a living, he worked for a messenger service in Los Angeles.and later as a carpenter's apprentice. He eventually returned to his role as Rusty Williams in the 1970-1971 series Danny Thomas in Make Room for Granddaddy. In that series, a grown-up Rusty portrayed a married 23-year-old medical student. Unfortunately, Make Room for Granddaddy was short-lived. It only lasted a single season despite guest appearances by such popular stars as Bob Hope, Lucille Ball, Frank Sinatra and Milton Berle. When it was cancelled, Hamer once again found himself out of work and without direction. 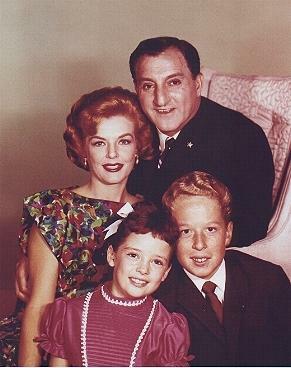 Below is a photo of the cast Make Room for Granddaddy: Front row Left to Right, Michael Hughes, who played Danny's grandson Michael,, and Marjorie Lord. 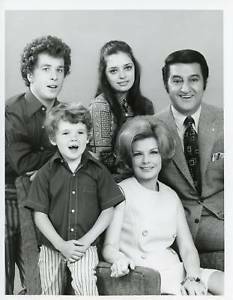 Top Row Left to Right: Rusty Hamer, Angela Cartwright and Danny Thomas. In 1976, Rusty Hamer moved to southwestern Louisiana to be closer to his ailing mother, Dorothy, who suffered from Alzheimer's Disease. At the time, Dorothy was living with Rusty's older brother, John, in the town of DeRidder (about 40 miles north of Lake Charles). While in Louisiana, Rusty was employed by Exxon to worked on their offshore oil rigs. According to information provided by DeRidder historian Velma Lenora Smith, he was not suited to the job and resigned in 1982. Unable to find steady employment, Rusty worked intermittently as a short order cook at Richlighter, John's small cafe near Bundick Lake on Highway 394, southeast of DeRidder. Sadly, Rusty Hamer's mental and physical health deteriorated sharply and he fell into a deep depression. He became delusional and reclusive. On January 18, 1990, Rusty committed suicide by putting a .357 pistol to his head and pulling the trigger. It was his brother John who discovered his body in the trailer where he lived near DeRidder. In announcing Rusty's death, John Hamer declared that the child star "hasn't been really happy since his early 20s," "I've heard of a lot of child actors who have become unhappy with their lives after they've left the industry," stated John, "But he didn't show any signs of this happening. It was just all of a sudden." Rusty's older sibling also revealed that his brother had been experiencing extreme back pain but refused to go to a doctor. Rusty's tragic suicide raised awareness of the problems faced by child entertainers. It inspired Paul Peter Petersen, a child actor on The Donna Reed Show, to create a support group, "A Minor Consideration", to assist child actors in their transition from childhood to adulthood. * Rusty Hamer's father, Arthur, died after his son had been on Make Room for Daddy for eight months. * John Hamer was 47 years old when Rusty's died, about five years older than his brother. John left Hollywood at the age of 17. He had an uncredited role as a child spectator in the 1952 film The Greatest Show on Earth. He appeared in a 1958 episode of The Danny Thomas Show in an episode entitled "Terry Goes Steady." (Season 6, Episode 4, Air Date: October 27, 1958). He portrayed Walter, a boy who was dating Rusty Williams' older sister Terry. John was also a guest on The Tonight Show starring Jack Parr in 1957. * Rusty Hamer played his Rusty Williams character in three 1965 episodes of The Joey Bishop Show. In the episodes, "Rusty Arrives." "Rusty's Education" and "Joey Entertains Rusty's Fraternity," Hamer portrayed Rusty Williams as a college student staying at the home of Joey Barnes (Joey Bishop). * Rusty Hamer has a star on the Hollywood Walk of Fame.at 6323 Hollywood Boulevard. He was awarded the honour on February 8, 1960. * In December of 1966, Rusty Hamer received an accidental gunshot wound after returning from an overnight hunting trip. According to an AP report, he was shot in the abdomen "when a revolver slid from his shoulder holster, fell to the ground and discharged." He had surgery at Santa Monica Emergency Hospital. * Rusty Hamer and Danny Thomas were very close. In his AP interview with Bob Thomas, Rusty said that he called Danny his "second father." After learning of Rusty's death, Thomas described his TV son as "the best boy actor I ever saw in my life." "He had a great memory . . . great timing and you could change a line on him at the last minute and he came right back with it." That's very sad. Keep your children AWAY from Hollywood. I pray he wasn't the victim of pedophilia. They use kids in that business, molest them and then blacklist them. Hollywood is hell on earth. Angela Cartwright ("Linda") as well as her sister have always been down-to-earth and didn't let fame mess with their heads. The big factor is parental upbringing...or neglect. Kids shouldn't be allowed in any show-biz setting without their mentally fit parents or guardians watching over them every step of the way.